Amadria Park Hotel Capital is Zagreb’s latest Heritage hotel. Located in the City Centre and close to numerous Zagreb attractions it offers a truly unique experience. TIP: The hotel is housed in the former Austrian bank Wiener Bank-verein. Its vault and safe are still located in the basement with the original security door from Vienna’s F. Wertheim & Co.
Amadria Park Hotel Capital Zagreb offers a truly unique experience and amazing value. It is located in Jurišićeva Street, some 5 minutes walking from the Main ban Jelačić Square and easy access to most Zagreb Attractions. 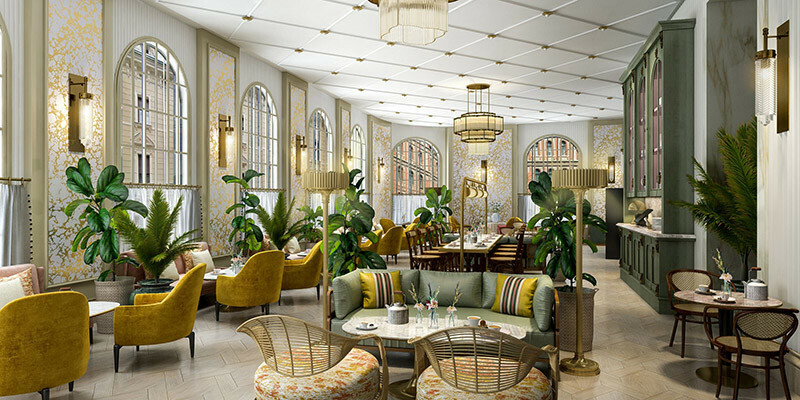 The hotel renovation was influenced by Art Deco and Art Nouveau styles. In order to preserve its rich history. You will definitely enjoy its impeccable service in an exquisite ambience. The rooms are elegantly decorated, air-conditioned and equipped with a satellite flat-screen TV and a minibar. Amadria Park Hotel Capital is recommended for Couples and Business Travelers. This hotel is perfect. Located in the heart of the city offering a romantic and elegant atmosphere. Its inspired with classic Zagreb character and flair. Recommended for all who want impeccable quality and first-class service. Start your day at the hotel lounge bar with newspapers, coffee, croissants and fresh juice. Finish it off at the hotel restaurant serves which local delicacies and Mediterranean dishes. What is close by to Amadria Park Hotel Capital? You are located next to Zagreb ban Jelačić Square, in the heart of Zagreb with easy access to most Zagreb Attractions. In each direction, anywhere you turn you have one of Zagreb’s top attractions. Although not a top Zagreb Attraction, but definitely worth a visit, right across the street you will find HT Post and Telecommunications Museum. At this amazing museum, you get to learn about the history of Postal and Telecommunications services. Best of all it’s free! There is public parking available in adjoining streets, but we recommend their hotel parking to save the time of searching for a parking spot. Hotel parking is 20 EUR per day.